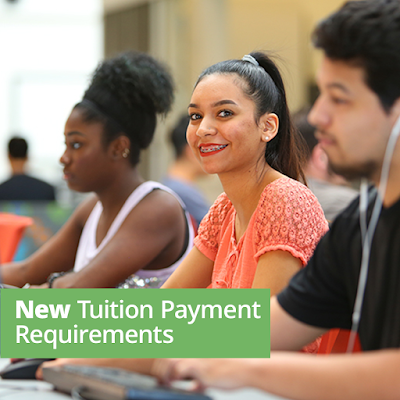 If you have been awarded and accepted your financial aid and your award covers the full cost of your tuition and fees, your classes are secured. If your financial aid award is less than your tuition and fees, please make payment arrangements to cover the balance. Log in to your My.maricopa.edu student account to pay tuition in full using a debit/credit card or pay by your checking/savings account. Effective October 2018, the registration processing fee is non-refundable.